The Jurassic era comes to Minecraft. JurassiCraft 1.12.2 and 1.11.2 is a mod that allows us to go in search of dinosaur fossils. Once you have these fossils you can use DNA extractors to store genetic information of dinosaurs. So that using machines you can create dinosaur eggs from the collected information. These eggs will evolve and give rise to these majestic creatures of the past. There are different kinds of dinosaur that can be cloned, including: Velociraptor, Ankylosaurus, Gallimimus, Brachiosaurus, Stegosaur, Hypsilophodon, Triceratops, Coelacanth, Tyrannosaurus, Leaellynasaur, Herrerasaur, Parasaurolophus, Tylosaurus, Meganeura, Oviraptor and Dilophosaurus. 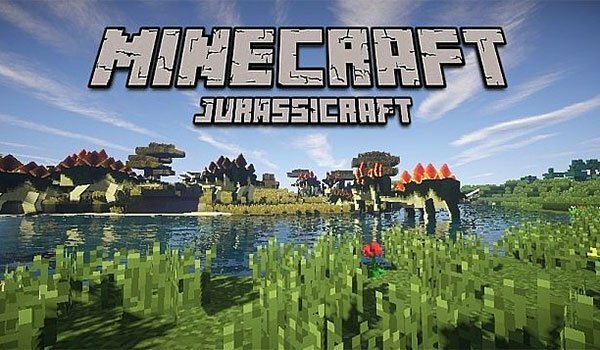 How to install JurassiCraft Mod for Minecraft 1.12.2 and 1.11.2? Download LLib 1.12.2 or LLib 1.11.2. Double click to the Forge downloaded file to run the installer. Welcome to the Jurassic Era!